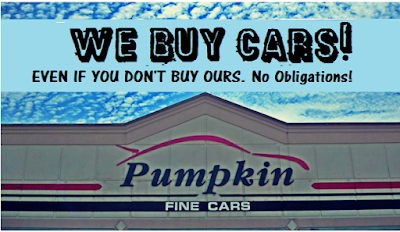 Pumpkin Fine Cars and Exotics: WE BUY CARS at Pumpkin Fine Cars! that suits your needs for a new car? we will still buy your old car from you. family, but ready for something new? Even better! 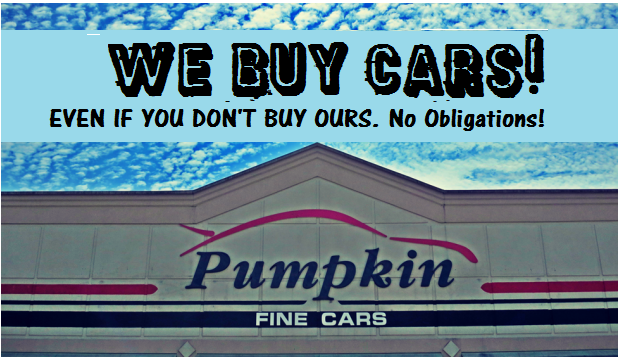 We love getting previous "Pumpkin vehicles" back into our showroom, so bring your Pumpkin trade right back to us! There is no obligation to purchase from us. All payoffs and payments made to you are immediate. As usual, you can trust Pumpkin -- We do everything with class and integrity! You can view our Appraisal Page on our website at www.pumpkincars.com. Stop by our INDOOR SHOWROOM TODAY! CONTACT US at (609) 646-7676 or send us an email at [email protected].